The Boxing challenge remained the same as R.L and I each earned two points from last night's HBO card from Atlantic City. The points for both of us put R.L. in a 15-13 lead. We both picked Karim Mayfield to defeat Thomas Delorme and he failed to so as Dulorme picked up a unanimous decision. I too had Delorme a winner 96-94. Sergey Kovalev marched through Cedric Agnew to keep his 175 pound belt in seven rounds as Kovalev stopped Agnew with a body shot that kept on the floor. Agnew went to the hospital with a broken rib and broken nose as Kovalev made the second defense of his belt. Both R.L. and I added two points for Kovalev's win and KO. team previews over the next few days for the baseball season. Yet another lost opportunity fluttered by the New Jersey Devils as they squandered another chance for two points by losing in the shootout-this time to the hapless New York Islanders 2-1 at the world's most decrepit arena. Adam Henrique's second period goal (25) tied the game at one for the only Devils tally of the evening. Next up-the Florida Panthers on Monday night in Newark. 1) Right off the bat-I don't hold Cory Schneider accountable for this loss. The Franz Nielsen shot would have beaten any goalie and with this team,one goal was all that it was going to take in the shootout. The Brock Nelson goal probably should have been stopped,but it would have made no impact on the outcome. Schneider could have had a shutout if not for the Islander goal,which was more luck than anything. Peter Harrold was trying to clear the puck (which is correct),it just took a bad bounce off Patrik Elias and into the net. Bad luck and Schneider was flawless in regulation otherwise. I know 0 for 10 and one goal all year,but let's look at something else. A severe lack of one on one performers on the club. If the shootout is going to continue as a way to decide games in this form (Not a guarantee ),the Devils are going to have to change the way they build their team. Not that the Devils have to totally revamp their roster,but I would bet Lou Lamoriello is watching this season long developing story and think Lou is going to sign at least one,if not two players that have better than average shootout numbers to bulk up this part of the game that appears to be the top factor in the team missing the postseason. Merrill left the ice bleeding and was unable to return to the ice for the remainder of the game. No word on Merrill's availability for the Panthers on Monday. 5) Adam Henrique played very well with the only goal and put five shots on net,but the other interesting note for me was his inclusion in the shootout. Henrique came closer than the other two attempts,but that showed how pleased Peter DeBoer is with the play of Henrique as late. 6) Finally,this one might have been the end of the line. Wins by Columbus and Detroit (the two wild cards at the time of this writing) put those two teams five points ahead and Toronto and Washington are three points ahead with eight games to play. One point doesn't seem like much,but earning that point last night could put them in a position of catching the Leafs and Capitals after Monday night. It just seems too much in my opinion right now. Back later with a quick boxing challenge update. Very little on the boxing challenge as both of tonight's HBO bouts were picked exactly the same by me and my opponent R.L Malpica. Today is our seventh anniversary of doing this little blog. It is hard to believe that this has been around for seven years and things have changed a little through the years. We still cover things,but the day to day coverage of baseball has dropped off since I go to more minor league games now. I autograph more and watch fewer major league games,due to time constraints,but I am enjoying more things as well. I'm trying to make more of an investment in time here and I've tried through the years to vary things a bit. We are mainly sports,but not always and I like talking about my life,my family and issues not sports.. I get such a good reaction from the stuff like Cleaning out the inbox or our interviews and that makes me feel good about what I do. It never ceases to amaze me when someone comes up to me and mentions something I wrote here or telling a friend something and they say "I know that-I read it in your blog". I always feel good when that happens. The blog has evolved and readership is up a little over the last six months,but it's never going to be what I had hoped for. I never messed with advertising here and I do a pretty bad job of marketing this,although I'll be passing out business cards soon as Rachel bought me 200 of them for my Christmas gift,but all and all,I'm pretty pleased. I look at this as leaving a record about me,my likes and dislikes and a little about my past. For whatever the net becomes,this is a record for the people that I care about and some that don't even exist of what I've thought about and what I am all about. That was not the original intent,but it is a welcome surprise to what I thought this would be. A few thanks and if I forget someone,I apologize. Thanks foremost to the lovely Cherie,who gave me the original idea to do this seven years ago and tolerates the crazy life that I lead. Thanks to Rachel,who has become quite the sports fan and I enjoy watching games with her so much. Thanks to my graphing buddies,Derreck Chupak,Bill Cover,Kendall Morris,Mike Oravec and Brad Adams. Your friendship has been important to me and the fun that I have over the summers now has been a blast. Thanks to Battlin" Bob and our unofficial sister blog.I don't get to see Bob as much as I used to,but still nice to know he is around,Ha Ha. Thanks to our biggest fan here at the blog,Big Don,who is always around with a kind word and ideas to write about. Thanks to Luke Erickson at Nationals Prospects,who always gives us some pub when I do something related to the Suns or the Nationals system. Thanks to my new friend,Ramon Malpica,who has added so much to our boxing coverage. And finally thanks to the readers-thanks for taking the time to read my thoughts on sports and "other important items". See you next year for number eight. The New Jersey Devils were foiled again by their inability to find the net in a shootout as the Phoenix Coyotes downed the Devils via the skills competition 3-2 at the Rock. Mikkel Boedker beat Martin Brodeur for the only goal of the shootout,which was typically enough to beat the Devils in such play. The Devils did salvage a point after being behind by two goals with goals from Ryane Clowe (6) at the end of the second period and received the tying goal from Adam Henrique (24) in the third. 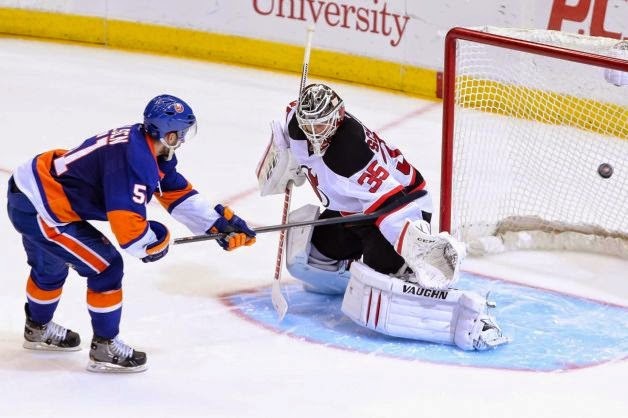 The Devils return to the world's ugliest arena in Nassau County on Saturday against the Islanders. 1) The Boedker goal in the shootout might have shown a way to gain an advantage in the shootout that has seldom been used. Boedker skated very quickly,almost in a charge towards Marty Brodeur. That forced Brodeur to make a decision almost immediately-go down or stay up. The guess was wring and Boedker lifted the puck over the prone Brodeur. 2) The Devils score with one second to go in the second period was looked at by video review,but clearly went in before the end of period (0.03 remaining) and the Jon Merrill shot was deflected off the glove of Ryane Clowe,not tossed into the net. That goal perked the Devils up and allowed them to enter intermission down just one goal. 3) Martin Brodeur was decent in goal.The Boedker goal was described above and the first period goal by Phoenix went right through his legs,albeit from a series of scrums to start the game that saw the Devils backtracking in their own end. Brodeur was strong enough other than those two goals,but that wasn't quite good enough. 4) Now onto the shootout woes,where the Devils lost their ninth in nine tries. I'm not going to get into how much I hate the shootout again,but I will point out this-if the Devils were even a nick below .500 and won four of the nine shootouts,there would be the four points that they trail for the playoff spot of eighth. 5) The Devils still are clinging to that lone Reid Boucher goal as their only tally in shootout play. It's not that the team has tons of options,but I would like to see some consideration to use Tuomo Ruutu if there is any further shootouts. Ruutu is at 40% efficiency in shootouts and it isn't like he could do any worse than what is going on now. 6) A bonus.The Devils trail three teams and are four points out of the playoffs with nine games to play. My guess is this-It's going to take no less than 7-2 and that might not even be good enough. Looks like outside looking in for the Devils. In another shot in the Cold War of boxing between HBO and Showtime,WBC Lt.Heavyweight champ Adonis Stevenson decided to sign with influential (not influenza,which might be a better description for his effect on boxing) manager Al Haymon and take his next defense against Andrej Fonfara to Showtime. Well,instead of boxing fans getting a superfight between two of most exciting fans in the sports between Stevenson and Sergey Kovalev,they will get Stevenson against the winner of the Bernard Hopkins-Beibut Shumenov unification bout,which would give boxing 1 fighter with all three of the recognized titles (I don't recognize the WBO despite the organizations having some of the better fighters as champion),but would not have the two best fighters in the division deciding who's better. I am all for unifying titles and think it's for the betterment of boxing. I think Hopkins vs Shumenov is a good idea and I wouldn't even argue against the winner fighting Stevenson,but the setup has been for Stevenson-Kovalev on HBO as both fought on the same card,Kovalev defends against Cedric Agnew this Saturday and Stevenson-Fonfara in May was the setup for the fall superfight between the linear 175 pound champ (Stevenson) and the possible top fighter in the division (Kovalev). 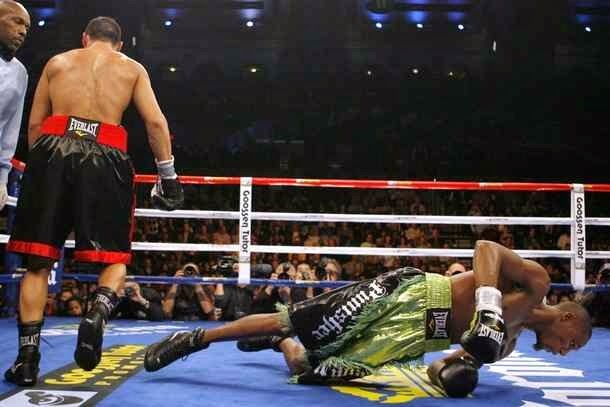 After the card that showcased both Stevenson and Kovalev,Kovalev demanded Stevenson next. Stevenson mentioned Bernard Hopkins and said Kovalev had not beaten anyone (Like the overrated Chad Dawson was the return of Michael Spinks) but would fight him "if the price was right". Right there was your first hint that Stevenson really didn't want this fight. Put the network and promoters claims aside of who's at fault-there is plenty of that for all sides. HBO for not getting things locked up legally,Stevenson's promoter for trying to hold HBO up for more money,Al Haymon for steering an agreement away in order to send Stevenson to his pals at Showtime and Stevenson himself for not making himself fight the best. (even if on HBO) and if he defeated him,Al Haymon could then shove the shiv to HBO by THEN taking the lineal champion and conqueror of Kovalev to the rival network. I fault just about anyone other than Kovalev in this whole mess,but other than fans of the sport,there is truly one big loser in this-HBO. HBO has went from being the giant of the sport to rapidly losing ground in this fight against Showtime. HBO has built attractions in Gennady Golovkin,Stevenson and Kovalev over the last year,but even they have problems. The lineal 160 pound champion Sergio Martinez is doing the same thing as Stevenson by fighting Miguel Cotto for more money instead of the best fighter in the division in Golovkin. HBO doesn't have a problem with that because they are showing Martinez-Cotto,although its the same thing they are grilling Stevenson for-more money and less risk. Golovkin is so desperate for opponents that he moves up to 168 for the exposed Julio Cesar Chavez Jr in order to make money. I'll excuse Golovkin though for the following reason-He holds the WBA belt,the WBC champ is aforementioned Martinez,the new IBF champ is Felix Sturm,who never leaves Europe and the (unrecognized by us )WBO beltholder is Peter Quillin,who is locked up with Showtime,so not a ton of big money bouts when you consider none of those guys will fight him for various reasons. Kovalev now has no one to fight other than undistinguished contenders or maybe Andre Ward (who HBO has perhaps foolishly hitched its wagon to for one fight a year) as it appears that Showtime has a lock on the light heavyweight division for some time to come. I have been an HBO subscriber for years mainly due to their boxing programming and sports specials,but Showtime has always has been my "free" choice when Directv wants to make things up to me on a mistake. If the boxing battles continue to fall this way,I may have to flip flop those choices by making Showtime my subscription and HBO the backup. Others are likely making the same choices which allows Showtime to gain on HBO in the most important battle subscribers numbers. When HBO brought in Ken Hershman to run their boxing department from ironically Showtime,Hershman had done a nice job with a smaller budget,but his run with HBO has been a failure. I didn't like the Showtime hire of Stephen Espinoza as the replacement for Hershman because what I thought would happen has-Showtime has become a Golden Boy mouthpiece run by GBP and Al Haymon. However,I cannot argue with their success with the decision and for now,I suppose it has been a good one. HBO is rapidly painting itself into a corner with a seemingly endless round robin with Manny Pacquaio,Juan Manuel Marquez and Timothy Bradley along with new stars that cannot seem to get the fights that they want or need. The New Jersey Devils need to win just about every remaining game on their schedule to even have a chance of the postseason,so if you want to look at things a certain way,the playoffs are every night on a one game elimination basis. Those playoffs started last night against the visiting Toronto Maple Leafs with the first three goals of the game and held off a late Toronto rush for a 3-2 victory. Devils goals to Patrik Elias (17),Damian Brunner (11) and Jon Merrill (2) with the eventual game winner.. The Devils are off until Thursday when the team hosts the Phoenix Coyotes at the Rock. 1) The Devils scored their second period goals in 32 seconds as Patrik Elias and Jon Merrill drove James Reimer from the game. 2) The late game rush was worrisome as after the Leafs pulled Reimer for Drew McIntyre,but even scarier than the Leafs pulling to within one goal with the extra skater with McIntrye on the bench was Phil Kessel barrelled through the goalpost as he scored. It brought back memories of the past when the posts were anchored in the ice and caused lots of scary injuries. Not every advancement in sports is for the best,but this is one of them that is for the better..
3) Two point game for Jon Merrill and his pairing with the returning Peter Harrold was very good on the evening. Merrill and Harrold are favorites of Peter DeBoer,but played well tonight as a pair. 4) The Devils used seven defensemen and as a result were down a forward. Eric Gelinas spent some time at wing,but I don't recall hearing his name much. 5) Cory Schneider was strong in goal and looked as good as he has in a while. Schneider's play against the 6 on 5 was the difference in holding onto the two points earned in this one..
6) Yes, this was the return of David Clarkson to the Rock after leaving for Toronto. I always liked Clarkson and was sorry to see him go,but Toronto paid him off of his career year and I wasn't going to complain about the Devils not matching what appeared to be a huge overpayment. Thus far,Clarkson is really struggling in Toronto and looks like the Leafs are stuck with a contract that runs way too long for way too much. In a game that the New Jersey Devils HAD to win,they didn't as the teams offensive woes continued at the Rock in a 2-0 win by the visiting New York Rangers. The Devils put just 21 shots on net against Henrik Lundqvist with few of them being quality chances. Martin Brodeur picked up the hard luck loss allowing just one goal on 27 Ranger shots. Sadly,on this night-only perfection would have been enough. The Devils host Toronto this evening. 1) Martin Brodeur was excellent in net,but the one goal that he allowed was a wicked awful angle shot by Rick Nash that was a little bit lucky,but it does seem that through the years,Marty has let his share of those nutty shots go by. Brodeur was great last night and these things happen,but he has been vulnerable to those types of shots on occasion in the past. 2) That may describe the goal that Brodeur allowed,but it barely touches the spectacular stops that he made to allow the Devils to stay into the game with a chance until the end. This was the best game that Brodeur played this season-it's too bad that it wasn't good enough. 3) The Devils almost tied it with 39 seconds to go when the puck was stuck under Henrik Lundqvist,but video reviews did not show that the puck went in. It may have done so,but you just couldn't see it to KNOW so. 4) With a nick under two minutes to play,Andy Greene was called for tripping Rick Nash off a faceoff. I thought Nash dove a bit,but I still blame Greene putting the referees in a position to make that call. 5) Just five shots in the second period? Give the Rangers and Lundqvist credit for a good night,but the Devils lack of attempts were typical of an offensively challenged team. Look for the Devils to make some off season moves to attempt to rectify that situation. 6) I think that's it for the playoffs. When you give a team that you need to catch two points and you cannot even muster one,that will make it almost impossible to do and the Devils put themselves that situation. That obscure little tape that was so versatile that you could use it to patch up almost anything,even if it didn't look all that great doing it, has moved from my tool area (I have one,even though I'm not very good at fixing anything) to possibly ranking right with the New Jersey Devils as Rachel's passion in life. 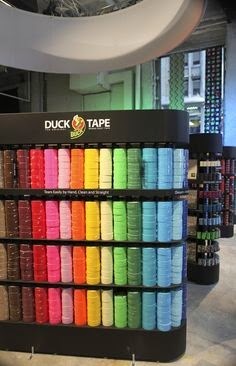 I never gave Duck Tape (the name brand of this item) much thought as the choices were usually black or gray,only was used when needed and was just another tool in the box to be brought out when needed,which is my house was occasionally at best. But in the last two or three years,this tape has become part of the household vernacular,added to my regular stops in stores and a major portion of making my daughter happy. A talent that I just cannot fathom as I have the artistic/craftpersonship abilities of the leopard gecko and things that she does with this little roll of tape that I would use in vain attempts to keep something useful or even taping a package to be mailed stuns me,because she certainly did not get this ability from me. This humble tape now comes in more designs than you can think of ranging from colors (Neon Pink?) to sports teams,cartoons,etc. If you can think it,they might have it available in Duck Tape. The happiest that I have seen my daughter since this day was when we were in a Wal-Mart and watched her discover rolls of a discontinued and rare pastel tape. Yes,we got them all for the record. Rachel has made wallets of several different styles,handbag,purses,pillows,flowers and other items that I'm sure are escaping me right now and they hold up very well. Surprisingly well as usually homemade items simply aren't very durable,but between the hardiness of the product and Rachel's skill in making them,they hold up very well. I even own one,although I told Rachel that I am holding it in reserve until my wallet dissolves (mine is a Cleveland Browns). It's funny that something as recent as a few years that I would not have given a second thought to has become a source of income for Rachel. That's right-source of income as not does Rachel sell her creations at Simply Duck Designs,but she now gets paid by a marketing company for her videos on YouTube. Check the Simply Duck Designs YT below out and please watch the ad,that's the money maker! Rachel now has nearly 2,000 subscribers waiting for her words,creations and whatever else she wants to discuss on a given day,which is hard for me to fathom,but what do I know,I have a fraction of that number that read this thing and I've doing it far longer! I love the tutorial below with the ruler that is so old that it pictures the Los Angeles Rams and the St.Louis FOOTBALL Cardinals! Rachel even is making an appearance at the Duck Tape Festival in Avon,Ohio for this stuff. Apparently,this is the Super Bowl of Duck Tape and Rachel selected this as her graduation trip. Cherie and I are fortunate,other kids are hitting the beach to get torn up and who knows what else and my daughter wants to do the Duck Tape Festival with Mom and Dad. As much as this seems to be a snoozer of a time for me,I did manage to get an Akron Rubber Ducks game out of it and a stop in Ashland for the usual "supplies"-Pizza,Jones Potato Chips and a trip to Grandpa's Cheese Barn,so it'll be some fun,but it is time with the family that creates memories and who knows who you'll meet at a festival. A tape,a skilled child,the internet age and a little marketing (I need to learn her secrets) and my daughter has created quite a little niche for herself. The New Jersey Devils cannot afford to lose games. They appeared to be on the verge of a collapse that would have been heartbreaking to Devils fans watching to see the returning Zach Parise and the Minnesota Wild vanquished after allowing two third period goals to force overtime. Andy Greene changed that that when he found a loose puck floating in overtime and slammed it home (8) for a 4-3 New Jersey win and two badly needed points in what appears to be a Quixotesque quest for a playoff spot. The Devils also received goals from Jaromir Jagr (23 power play), Michael Ryder (17) and Mark Fayne (4 shorthanded) in the victory. The Devils take today off before weekend home games against the Rangers and Maple Leafs. 2) Tim Sestito was sent from the game from an elbow from Nate Prosser and did not return. Sestito had just been called up from Albany before the game,so not much of a return for the AHL veteran. Prosser was given a five minute major (that Minnesota killed off) and a game misconduct. 3) Zach Parise heard boos in his return. I get asked on my opinions on Parise's leaving and here they are. The Devils made a huge mistake in not locking him up a year or two before free agency when he might have amenable to re-signing. I don't dislike Parise for leaving to play at home-I never held it against Brian Rafalski wanting to play in Detroit or Scott Niedermayer for wanting to play with his brother,I dislike him for dragging the process out when he clearly wanted to be in Minnesota and kept the Devils making a better play on replacing him. 4) Cory Schneider was OK in goal,although the second goal by Mikael Granlund was pretty bad. The other two goals were re-directions,so I can live with those a bit better. 5) Schneider did make the most popular play of the evening with a huge stop on Zach Parise on a breakway. 6) Michael Ryder scored his first goal in just under two months. 7) Five points behind Columbus for the final Metro spot,four behind Detroit/Washington for the last wild card position with 12 games to go.I still think it's going to take 9-3 at minimum to catch someone. Can that happen? I suppose,but it's pretty unlikely. The flickering hope that is the playoff hopes of the New Jersey Devils took a gust of air Tuesday night in Newark as the Devils were defeated by the second period flurry of the Boston Bruins and lost a 4-2 decision. After Patrik Elias scored (16 power play) on a five on three man advantage to tie the game in the second period,the bear from Boston was awakened as the Bruins scored two goals in less than a minute to grasp a death grip on the game that they would not allow to go away. Travis Zajac (13) scored the second Devils goal in third period garbage time. New Jersey returns on Thursday to host Zach Parise and the Minnesota Wild. 1) The Devils did wear their original red and green colors that they have been breaking out for St.Patrick's Day,which are always favorites of mine. That was about the highlight of this one. 2) Well,Patrik Elias and his wrister just before the five on three expired to tie the game was pretty sweet,but it almost had the opposite affect. Kinda of like poking a bear or bruin in this case with a stick. 3) Martin Brodeur's work ranged from brilliant to dull. Marty made some tremendous saves,especially early in the game,but the first Boston goal and the third one that essentially put the game away from Jarome Ignila were especially weak. Both goals wobbled through the five hole and should have been stopped. 4) Not a good night from the Devils defense. I thought Mark Fayne had a nice game and he made a play in the first that kept Boston from having one on one near the net against Martin Brodeur,but the rest? 5) Credit for Ryane Clowe trying to incite the team with a fight. Problem was that he picked Milan Lucic,who I described to the lovely Cherie as the league's best mix of scoring and punching since the late Bob Probert. 6) I hate to keep going back to the loss in Miami,but it's been one big spiral down since then. Five points out of the wild card and seven behind for the Metropolitan third position,the playoffs are beginning to slip away. With 13 games to play,I'd wager it's going to take a minimum of 9-4 to get into the postseason. 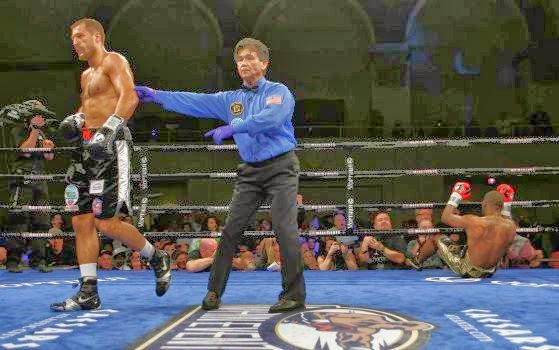 We fell behind this weekend in the boxing challenge with R.L.Malpica and Boxing Undercard as R.L won the one fight we picked differently decisively to take a lead of 13-11. Both of us earned one point for Danny Garcia's majority decision win over Mauricio Herrera to retain his WBA and WBC Jr.Welterweight belts. We both picked Garcia to win,but both thought it would be unanimous for Garcia,so just one point. I scored Herrera a 115-113 winner on my card. We both added two points for the first round knockout by Deontay Wilder over Malik Scott for the win and KO,but neither of us thought Vyachslav Glazkov would defeat Tomasz Adamek. 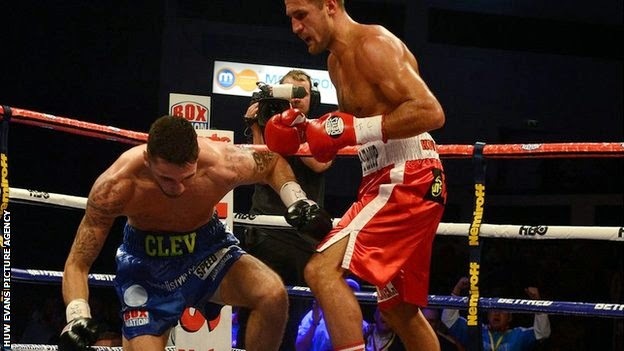 Both selected Adamek by unanimous decision,but the unanimous nod went to Glazkov. I agreed with the judges and gave Glazkov a 116-112 edge. R.L.grabbed three points to my zero as Juan Manuel Lopez stopped Daniel Ponce De Leon in an exciting three round KO. R.L.picked Lopez to my pick of DeLeon for one point,picked a KO ending for another and earned another bonus point for picking it to end in three. More boxing action next week in the Boxing Challenge! The Cleveland Browns continued to take strides in building what might be the most exciting offense in Cleveland since the days of Bernie Kosar as the woeful Browns running game took a huge leap forward with the signing of former Houston Texans back Ben Tate. I sometimes look a bit askew upon signing big name free agent runners because often, the back has left his best times on other fields and comes with less tread on his tires than I'd like at an inflated price. I don't feel that way about Ben Tate. Well,Tate doesn't turn 26 until training camp, has never carried the ball more than 200 times due to being behind Arian Foster in Houston and averaged 4.7 yards per carry for his time in Texas. That makes me think that this is a back in his prime,not in decline and the Browns are not paying for past performances in another jersey. Tate can put his shoulder down and run over defenders,yet he has the speed to break away,so if this guy is so great,why did a bad team like Houston allow him to leave? Tate has had knee injuries and has never carried over 200 times in a season (covered the pro and con of that argument,didn't I? ),so there are some questions,although not many. Ben Tate signed a two year deal for just seven million,which is a very reasonable deal for what could be a top level running back. I can understand the prove it style deal from the Browns perspective,but was surprised that Tate went for it. I am hoping this is a motivator for Tate to show that he is an elite back and outshines this deal,but this adds to what might be a strong offense. Ben Tate running,Josh Gordon ( please stay out of trouble,Josh!) and Jordan Cameron returning and a few IF's coming-IF Brian Hoyer's cameo appearance was not just a mirage,the Bengals don't match the Andrew Hawkins offer sheet to put Hawkins in the slot and IF the Browns tab Sammy Watkins of Clemson with their first rounder,Cleveland could have their most fun team to watch in years! There are still some holes as right guard is a gaping one,I still think the team needs another inside linebacker and I'd love to see that multi-year beg for a corner opposite Joe Haden hit town,but suddenly I'm excited about the future for the Cleveland Browns. The New Jersey Devils looked to have struck early with a goal past Tampa Bay's Ben Bishop,but the goal was waved off and the Devils would threaten no further as the Lightning took a 3-0 dagger and shoved it into the hearts of the Devils. Obviously,no Devil goals,but Martin Brodeur finished with 29 saves in defeat. The fading Devils are off until Tuesday and the Boston Bruins. 1) Martin Brodeur played well. Much better netminding than the Devils got from Cory Schneider in Miami,so I cannot blame Brodeur in defeat. 2) The Devils goal that was wiped off the board was for inadvertent interference. The same play that saved the Devils win in Philly. Sometimes what goes around does indeed come around. The only difference was that it was a Tampa defenseman that knocked Ben Bishop down and the refs thought it was Dainius Zubrus. The Devils missed a break there,but the call still was fair using the refs thought that it was Zubrus. 3) I've noted that Jon Merrill is a favorite of Peter DeBoer's and I'm Ok with that. Mainly because I feel that the team should be playing Merrill as well. Unfortunately,I also think that Eric Gelinas and Adam Larsson should be playing too. One is scratched a lot and the other is in Albany,but my larger point is this-Merrill makes mistakes like he did in this one in committing a penalty that resulted in a penalty shot attempt and he plays the next game. Gelinas commits an error and he's scratched for a week. Larsson doesn't even get that much and is exiled to the AHL. 4) The Devils only put 23 shots on net,few of them good chances and just looked dull. Where did the team go right after the break that was firing shots on net with abandon and as a result getting rebound opportunities? 5) The Devils were shut out for the eighth time this season. I know that I have more unanswered questions,but imagine this season,if you cut that number in half,would it be enough for the playoffs? 6) Sorry so many unanswerable questions tonight,but I'm just very frustrated with the team over the weekend. The team needed a split and instead came up with two disappointing efforts and zero points. 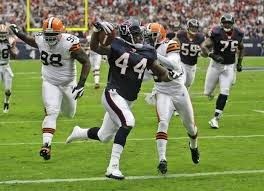 Back later or tomorrow with the Browns signing of Ben Tate! Tonights fights from Showtime and NBC Sports. Looks like the difference maker tonight is the Lopez-De Leon bout. The New Jersey Devils sandwiched one strong period between a below average one and an awful one,blew a two goal lead in the process and lost a badly needed game to Florida 5-3. The Devils allowed four goals in the final period in losing said lead and ah to hell with that. Devils goals to Jaromir Jagr (22 power play) Patrik Elias (15) and Bryce Salvador (1). See you tomorrow against Tampa. 1) This took me the vast majority of a work shift to calm down and be able to write this,so suffice it to say-I was not happy. His defense had its hand in this too,but he was awful. One goal that dribbled though his legs through a hole that made me think of former Senator Larry Craig's wide stance. Schneider has been just plain rotted meat bad since the the Olympic break. 2) However,he has gotten little help from his defensemen. On the goal that wouldn't have missed if Brad Boyes was trying to put the puck into well,you name it,Mark Fayne just tossed the puck to a waiting Boyes. If you are old and a hoops fan like me,it was so bad it made me think of the 1982 NCAA finals when Freddie Brown of Georgetown handed the ball to James Worthy of North Carolina. 3) But,we cannot forget Marek Zidlicky or as Rachel dubbed him almost on arrival-Flub Up. Zidlicky stupidly lost control of his stick and got called for a high stick. It didn't cost the Devils a goal,but it did take valuable time with under five minutes to go from a team trying to tie the game. Marek wasn't finished yet though as he loafed after the puck after not taking care of his zone and allowed the Panthers to tally the empty netter. 4) Patrik Elias scored,but was clearly frustrated as he swapped punches with Dmitri Kulelov. The penalty given was for roughing,but he was throwing hands. Might be the first time,I've seen that and that shows frustration! 5) Bryce Salvador scored a goal and it wasted away? 6) In summary,this was a brutal defeat to a bad team with nothing to play for. The Devils once again toss away a chance for a three game winning streak (that they haven't accomplished all season) and now they play the tougher team of the Florida pair. They have bounced back before,but ooh,this one hurts! Time to clean the inbox,but first we start with a few Browns signings. The Browns signed Bengals wide receiver Andrew Hawkins to a four year offer sheet,which Cincinnati has a few days to match. Hawkins apparently was the Browns choice over more accomplished (and pricey) players to fill the need at the slot receiver position. 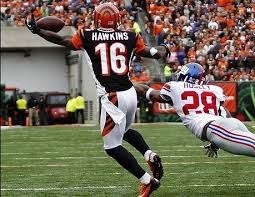 Hawkins missed eight games last season after a 51 catch 2012 and formerly spent time with Montreal of the CFL. The Browns did sign two players that will likely be special teamer and depth in cornerback Isaiah Trufant from the Jets and tight end Jim Dray from the Cardinals. Dray will battle Gary Barnidge for the blocking tight end spot. Trufant might see a little time as a dime defense defensive back,but will be most valuable on special teams. HBO wrapped up the first season of True Detective and I really enjoyed it. Woody Harrelson was great and although I'm not usually a fan of Matthew McConaughy,but he was excellent in this series. Grantland hammers it over the fence with this look at Dan Jenkins. The 84 year old Jenkins is proclaimed as the best golf write ever by Grantland and its hard to disagree. A Brazilian diamond has been found that has trapped rare minerals inside. Minerals that had previously been found only in meteorites and created in the lab and that makes scientists think that there is much more water inside the earth than previously thought. As usual when new discoveries are made,it just creates tons of questions and lots of things to be discovered. ESPN and Grantland (Grantland is an ESPN property) adds two more college basketball scores with this look at Maryland leaving the ACC (They would lose in the first round of the ACC tourney) and the Kansas rivalry that never was with Kansas vs Wichita State. It is sad to see the Terrapins leave the ACC for the Big 10 and I've always thought in-state schools should try to play each other when possible,so both articles were interesting. We wrap up our interview with Danny Rosenbaum today with the final questions on our table. Thanks to Danny for the time and best wishes in Syracuse and hopefully Washington this season..
TRS: Did the Nationals ask you to work on anything over the winter? visit to Dubai. How did that come about? DR:It was an awesome experience. a desert safari and got to me some great people. and complain to my wife, she just tells me to get over it and move on. Jagr jams Devils past Flyers in Philly 2-1! jammed the puck past Steve Mason midway through the final period (21) to break a 1-1 tie and lift the New Jersey Devils to a 2-1 win over the Philadelphia Flyers in Philadelphia. The win moved the Devils to within two points of the Flyers for the final Metropolitan playoff slot and allowed them not to lose any ground in the wild card chase as well. Travis Zajac scored the games first goal (12) in the first period for the Devils. New Jersey now hits Florida for a two game run on Friday and Saturday against the Panthers and Lightning. 1) First-the officiating is awful. Not awful as in Devils bias,but more as in awful in general as both teams had to fight off opposing power plays on lightweight penalties that should have never been called. 2) With forty seconds to go and a furious Flyer rush underway,Martin Brodeur made the save,but was pushed across the goal line by Scott Hartnell. The call was no goal and I thought it looked pretty clear cut,especially considering that that play is not reviewable. The referee stuck with their call,which infuriated Flyer fan and might have been the only call that they got right all evening. 3) Martin Brodeur's second period goal allowed to Nicolas Grossman was the first of the year for Grossman and kind of a weak one. Brodeur also got the lucky horseshoe as some pucks just slid by open nets,but I thought Brodeur played very well in net and notched a deserved win. 4) Jaromir Jagr has come a long way from the young sniper in Pittsburgh that shied away from contact. The 40+ year old Jagr still can fire from the outside,but he has become more akin to digging down and doing the dirty work around the net as he showed on the game winner. Jagr has been so much more than I had hoped for as a Devil and I admit to being surprised that he still has jump in his step at this point in the year..
5) This win was a huge one considering what the Devils gained in victory or rather didn't lose as they stayed in step with Columbus,jumped Washington and pulled within two points of the Flyers. The Devils need to at least split these two games in Florida,but a sweep would go a long way in the playoff rush. 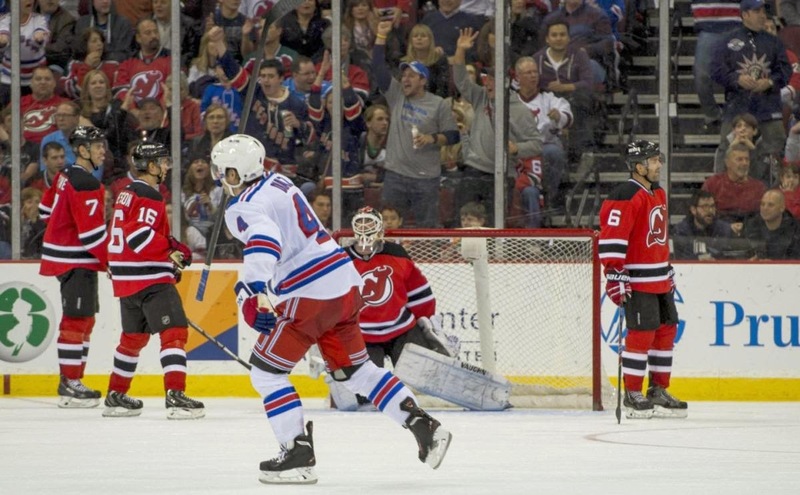 6) To most Devils fans,the Rangers are the most hated rivals. To me,the Flyers are number one and the Rangers are two. Between the constant thugs and obnoxious fans,the Flyers are my clear choice at the number one spot. The lovely Cherie watched the third period with Rachel and I and commented "Geez,I can see why you guys hate them so much". 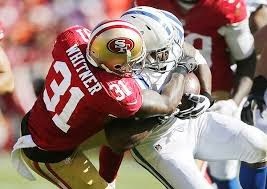 The Cleveland Browns have signed safety and former Ohio State Buckeye Donte Whitner away from the San Francisco 49ers and inked former Cardinals linebacker Karlos Dansby as well minutes into free agency. Whitner signed a four year deal for 28 million and Dansby signed a four year deal worth 24 million. Whitner will slot into the safety position vacated by T.J. Ward and came at a cheaper price than Ward or Jarius Byrd,so I'm on that bus. Whitner is a comparable player to those two and is more of a complete safety than both Byrd or Ward. Whitner has better ball skills than Ward and is a better tackler than Byrd,so I'm fine with that signing. I didn't mention Karlos Dansby as a Browns linebacker possibility because I figured he would re-up with Arizona and wouldn't hit the market. Dansby has had a great career as a Cardinal,but disappointed in his time with the Dolphins. That fact tempers my optimism a but,but Dansby walks right in and is the best inside backer on the team,so that makes me think positively on this signing too. Dansby can rush the passer from the inside spot (6.5 sacks last season),which makes him clearly better than D'Qwell (six yards down the field) Jackson in making the big play. Very happy with these two signings. I'll be back later tonight with any other signings or Ahem possible trades for the Browns! I was at work,so no scorecard on my part for these bouts,which I did not see. 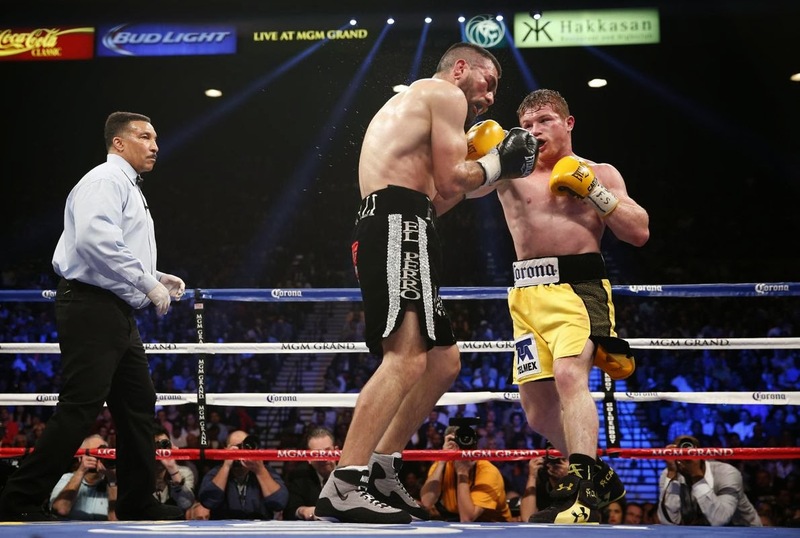 Saul 'Canelo' Alvarez pounded Alfredo Angulo in the main event with a stoppage in the tenth round. I earned three points for this fight-1 for the Alvarez win,1 for the KO and 1 for predicting the actual round. R.L. added two points for the Alvarez win and knockout. Leo Santa Cruz retained his WBC Jr.Featherweight title by unanimous decision over Cristian Mijares. R.L.added one point for predicting Jorge Linares win over Nihito Arakawa. I picked Arakawa,so earned zero points,but R.L picked Linares by split decision and the actual decision was unanimous. R.L earned five points on the night to my four. The current standings is a tie with each of us holding eight points going into next Saturday's fights on Showtime from Puerto Rico. The New Jersey Devils looked to be on the ropes in the third period against the visiting Carolina Hurricanes after losing a 3 goal lead and allowing the Hurricanes to tie a desperately needed game for both teams. Fortunately,the newest Devil would step up and save the squad from a crushing defeat as Tuomo Ruutu beat Cam Ward from the slot with the game winner with roughly six minutes to go in the game (6) and give the Devils a 5-4 win over Carolina! Adam Henrique scored two more goals (21 and 22 shorthanded) to lead the Devil attack while Travis Zajac (11) and Damien Brunner (10) scored the remaining Devils goals. 1) Why was this game so important? Well,after the less than energized effort against the Red Wings and three road games on the horizon after this one-this game was a must win for the playoff hopes of the red and black. Even with the win,the Devils still trail the Rangers by three points and the Rangers have a game in hand for the final Metropolitan spot and follow Detroit and Columbus by two points (the Wings have two games in hand with the Blue Jackets having one) and Washington by one point for the wild card. 2) Tuomo Ruutu not only scored the game winning goal,Ruutu assisted on Travis Zajac's goal with a sweet pass that literally skidded under the stick of the Carolina defender (Jay Harrison,I think). Perhaps,it was because Ruutu was playing Carolina and had some familiarity,but if he plays with this type of abandon-the Devils are going to be very pleased with the addition of Tuomo Ruutu. 3) How hot is Adam Henrique? Well ,Rachel might answer that question differently than I,but there can be no denying that Henrique had returned from the break with some outstanding play. 4) Martin Brodeur was OK in net. The sweeping prayer by Alexander Semin that got by Brodeur should have been stopped and the Jay Harrison maybe should have been too. 5) For all the issues,the one thing that I have liked coming out of the Olympic break is this-the team is putting more shots on goal. The boxing challenge with me taking on my boxing buddy R.L.Malpica with the Showtime PPV card tonight. Keep in mind,that I will be at the road office,so I will likely miss this card,but that doesn't change the picks for the card that will be made. So unless I get very "lucky' (Wink Wink) I will not have my scorecards for these fights tomorrow. Other than a few minute rush in the second period,the New Jersey Devils appeared lackluster and lazy and it showed on the ice as the Devils were blitzed in Detroit by the Red Wings 7-4. I'll get to the specifics below,but suffice it to say I'm not pleased. Adam Henrique scored twice (19 and 20) with one coming in garbage time with the other New Jersey goals to Jaromir Jagr (20) and Patrik Elias (14 shorthanded). The Devils return to action tonight at the Rock vs Carolina,where a better effort is expected. 1) Cory Schneider allowed seven goals and although he wasn't blameless or even close to good,it was not all his fault. I counted three times in this game that Schneider made saves and Detroit scored on uncontested rebounds because there were no Devils in sight to even apply mild pressure on the puck. Schneider wasn't good,but there were more to this game than just his play. That's harsh,but I don't care.They stunk. When teams score multiple goals by players trailing the play and then add in more as seen above-you stunk. Whoever put Jon Merrill and Bryce Salvador together as a pair made a sizable error in judgement. No chemistry at all and Merrill was more often than not on the ice when the Wings scored. These guys need to be separated and as in yesterday. 4) Let me know when Marek Zidlicky arrives in Detroit because he was nowhere to be found on simple clearing plays. 5) The three quick goals in the second period were fun to watch,but it was about the only span of the game that the Devils showed any life at all. I know the legs are tired blah,blah,but so were the Wings and they managed to get by. Adam Henrique showed some nice hands on his first goal and the Patrik Elias goal on a shorthanded rush was sweet,but otherwise.....Slow. 6) It's games like this that make this a chore to write. I really try to be fair and I don't want to be negative. 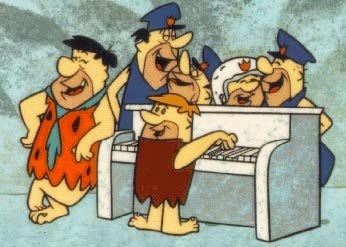 After all,I'm sitting behind the keyboard-they are on the ice. Nonetheless,when you play bad.you play bad and I'd be wrong to pretend otherwise. Players have bad nights,I get that and before someone writes and says "can you do any better'?,I couldn't. However,when you see a lack of effort on the ice and things are so clearly wrong,I have to call them on it. Devils get a number one,after all! I've been critical of Lou Lamoriello for not paying the penalty for the first round portion of the Ilya Kovalchuk deal after the Devils lost in the Stanley Cup finals. That pick would have been the 29th and they weren't going to get a better chance to pay a lower cost. Lou didn't and took Stefan Matteau (currently at Albany) and then used last years pick to bring Cory Schneider to Newark. That left this season as the default time to pay the piper,but as usual-Lou Lamoriello knew best. The Devils appeal for relief from the sanctions after Ilya Kovalchuk slunk off into the night was heard yesterday and in a surprise to me-the NHL was shockingly fair. The league returned 1.5 million of the fine levied against the team and allowed the team to re-enter the first round by giving them a selection back. The Devils were fined three million,so they got some cash back,but the first rounder was key. The Devils will pick in the 30th and final slot in the first round,which is a hit as it looks to be a sizable drop from where they will finish in the standings,but still reinstates a pick that could have been lost. By not relinquishing the pick earlier,the Devils will wind up adding a prospect when they could have cashed in and lost a choice. I think this was very fair,the Devils paid a price,although it was far too high to begin with,but some relief was given and justifiably so. The player is not here and still a percentage of his contract is counted against the cap,so the league decided fairness needed to come into play. The league did the right thing and the Devils will not spend a second year out of the first round to keep them from helping a system that needs forward help in the worst way. Boardroom maneuvering at its best. That is why he's Lou Lamoriello and I am typing on a laptop. Back later tonight with the Devils in Detroit. Our interview with Washington Nationals prospect Danny Rosenbaum continues today. Today's questions deal with Rosenbaum's AAA experience with the Syracuse Chiefs. that big of a deal? seemed like it blew out to right field pretty hard. favorite city and ballpark in the International league? 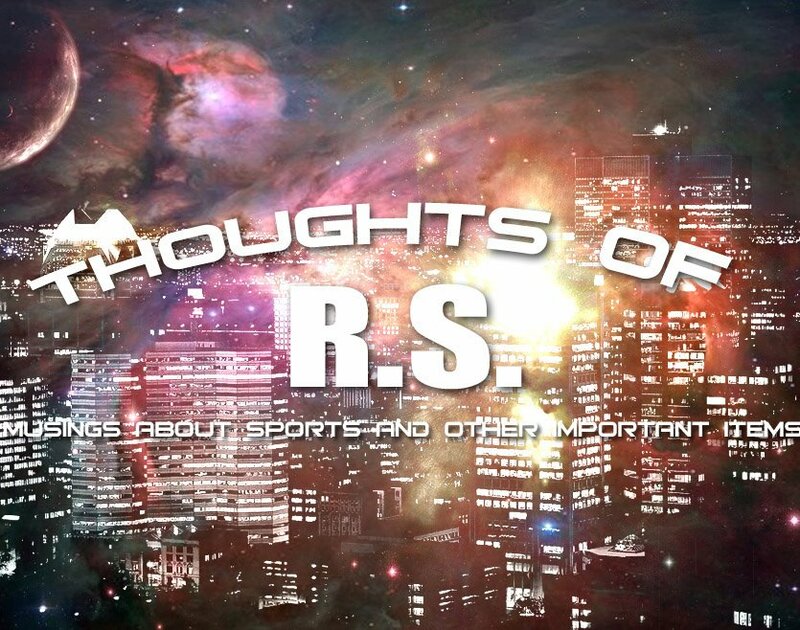 TRS: What was your highlight of 2013? We finish up the winter season with our additions before the in person graphing season. I'll be back later with Devils vs Capitals and some looks at the season opener in Reading Pa with the usual graphing deviants!! Former Vikings and Falcons quarterback Bob Lee-Thanks to Jenna Lee of Fox News for her help with her dad! Former N.C.State and Cavaliers forward Chucky Brown-New All Time record holder 1,116 days. Hockey-Thanks to Mark Bailey for his help when the Devils hit Washington! LPGA Golfer Jessica Korda-Jessica signed several photos for me and enclosed a nice note as well! As promised,I'll mention a few players that I would like to see the Browns take a serious look at in the soon to start free agency period. The list of positions runs from offense to defense and not in a prioritized manner. The Browns could use a veteran quarterback,but I'd hope that whoever they would sign would be the third stringer behind Brian Hoyer and a high draft pick. Considering that and a usual weak quarterback bunch in free agency,I don't really have a specific target to fill that role. Cleveland does need a running back in the worst way,but in the Shanahan system,the system has made unheralded backs into stars. The Browns might be better suited to drafting two backs and signing a few guys that haven't gotten chances in the league.Think Bobby Rainey,as an example,who the Browns cut and then had some success in Tampa Bay. Knowshon Moreno of the Broncos and Ben Tate of the Texans are the marquee names and I wouldn't have problems with either back,but both have had injuries and a little wear (Moreno more than Tate). The runner that I'd like the Browns that is a little less proven,but comes with more value perhaps is James Starks of the Packers. Starks has had issues with health as well,but should come cheaper and has a huge upside. The Browns have a huge gap at wideout behind Josh Gordon and need to add both a starter and a third wideout with some slot experience. I am hoping that the draft will bring one of the those,but I would like to see some veteran presence as well to offset a rookie. Hakeem Nicks of the Giants would be my target at the right price. Nicks has had sliding numbers since 2011,but I bet opposite Josh Gordon facing the second and third corners would revitalize Nicks. I'm not thrilled with any of the other top catchers at the likely price. I'm not a non-Peyton Manning Eric Decker fan,Golden Tate is a one trick pony and Julian Edelman might be a good fit for the slot,but he makes me think that he was more important to New England than anyone else. I have interest in Emanuel Sanders of Pittsburgh,cost depending. The Browns are unlikely to invest big money in a right tackle with Joe Thomas already on the board and the cash that Alex Mack is about to get,but Eugene Monroe of the Ravens would be a huge addition. Cleveland was known to be interested in trading for Monroe when the Jaguars traded him to Baltimore and maybe there is still interest from the Browns. Monroe excels in pass protection,but might be a bit too rich at this time. Guard is a more pressing need and the best two younger guards are Denver's Zane Beadles or the Chiefs Jon Asamoah. If the team prefers to draft a guard and is looking for a veteran stopgap,the Jets Willie Colon might be a good fit. Tight end and defensive line are positions that the Browns are not likely to sign anyone,so I'll skip over players at those spots. The Browns seem set at outside linebacker with Barkevious Mingo and Paul Kruger,but Craig Robertson was awful in pass coverage as a 3-4 inside man and the D'Qwell Jackson slot is open too. The Browns will have to add at least two if not three inside linebackers.I'd draft one and sign two or vice versa. Brandon Spikes of New England would be a top choice as would Jon Beeson of the Giants,but Beeson does come with an injury plagued past. Wesley Woodyard of Denver is another player that I think could help the Browns. Two of those three would upgrade the defense over the Jackson/Robertson pair considerably.. The Browns could use another corner to put the improving Buster Skrine as the third corner,where he is a better fit. There are plenty of good available,but some comes with baggage. Alterraun Verner of the Titans would be a nice fit,but a high cap number. I like the improving Sam Shields of the Packers a lot and either of these two and Haden would shut down passing games for a long time. Aqib Talib of the Patriots is talented,but struggles off the field. Vontae Davis of the Colts has all the tools,but can be unmotivated at times. Captain Munnerlyn of Carolina is interesting and 33 year old Charles Tillman of the Bears is coming off a bad year and might be had at the right price. If Tillman simply was nagged by injuries,he could be a real steal. The safety standout is Jarius Byrd of Buffalo. Byrd would be a huge grab for the Browns as he would bring the type of ball skills that Cleveland hasn't had since Thom Darden. If I can't have Byrd,I am certainly not against a T.J. Ward return as he is the second best safety available. Former Ohio State Buckeyes Donte Whitner or Malcolm Jenkins would each be reasonably nice consolation prizes in the event the Browns lost on Byrd and Ward. 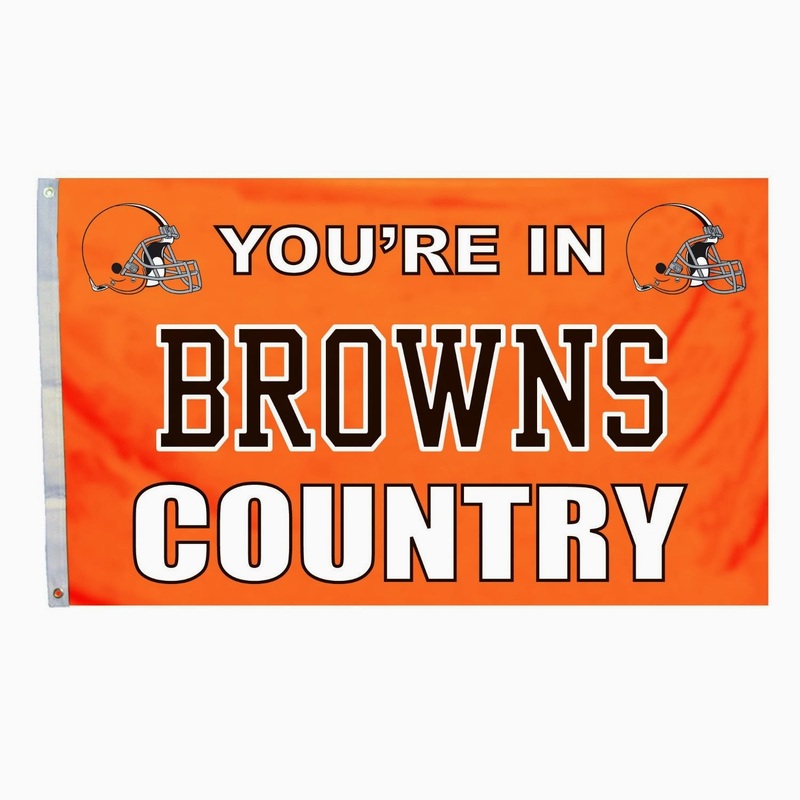 Those are some players that I like,lets see who the Browns bring to town. Sometimes,you get that feeling of happiness when you get an unexpected gift. I'm sure that you know that feeling,but I didn't expect to get that feeling today at the NHL trade deadline,but Lou Lamoriello did that with his acquisition of Tuomo Ruutu from the Carolina Hurricanes for Andrei Loktionov and a conditional third round pick in 2017. I think I did a list a while back about the guys that I have always thought would be good Devils and even last night was talking about that during the game with Rachel and many times Tuomo Ruutu was on that list. Ruutu is a high energy,gritty,competitive pain in the rear and likes to put the puck on the net with a good percentage doing it. In other words-we might have a David Clarkson type of player back. Ruutu is not the fighter that Clarkson was and might not bring the goal scoring that Clarkson flashed on occasion,but is a solid all around player and can fit comfortably on the second line. Add that with Ruutu's solid recent performance for Finland and their Bronze medal winning team at the recent Olympics,what's not to like? Well,there are a few things. Ruutu is 31,has two more years left on his contract (that can be good or bad),occasionally gets nicked due to his physical style and will carry a high cap number at five million,so there is a bit of a gamble there. However,Ruutu traditionally has been a big game player and he was a standout on a few Carolina playoff teams,so I have a feeling that he is going to come to New Jersey fired up and ready to add some things that this team lacks. I wish the cost was not Andrei Loktionov,who has just four goals,but I always liked his game at an affordable price and appeared to me to be one of the myriad of players that Peter DeBoer never truly seemed to believe in,or least used him in an erratic manner that prevented him getting into a groove that Loktionov could settle into. Loktionov still may develop into a very useful NHL player,so it's not like the Devils gave away a useless part in the trade. This is a risk with Tuomo Ruutu's contract for two years at five million per (Say goodbye to Anton Volchenkov with the buyout) and I'm not thrilled in losing Andrei Loktionov,but I can see why the Devils went after Ruutu. The team needed some fire and they may have gotten a player on the upswing (for this season at least) that has some motivation with the scenery change. At best,the Devils added a player that can bring an attitude change and considering the coaching staff love for veteran players could be a help. At worst,they have added another older player with a sizable contract (Carolina is picking up some of the deal) for two years and took away the benefit of the buyout of someone in the off season. I'm happy for the present playoff run and think Tuomo Ruutu is going to help this edition of the Devils. The bigger question is-Can he help for the next two seasons and at the value that his contract carries? Stephen Gionta's redirection of Mark Fayne's shot with 36 seconds to go eluded Jimmy Howard and allowed the New Jersey Devils to defeat the Detroit Red Wings 4-3 at the Rock. The Gionta goal (4) was really a three point goal as it gave the Devils two points and kept a team that the Devils are chasing from gaining one,when it appeared they would do just that. The Devils received goals from Adam Henrique (19) Marek Zidlicky (10 power play) and Travis Zajac (10) in the victory. The rematch takes place Friday in Detroit. 1) Of course,the story was the media talk about this being the final start of Martin Brodeur as a Devil. Brodeur is rumored to possibly be traded later today at the trade deadline,although I'm not totally convinced of the rumor. Brodeur was decent enough in net in earning the win. He was screened on the third goal and the second was on a deflection,so some excuses were in order. 2) The Devils came up storming with Adam Henrique's goal 27 seconds into the game and even though that type of pace is difficult to maintain,the drop in performance from then on until the third period was inexcusable. The ups and downs in the teams scoring is understandable considering the makeup of the squad. The ups and downs in effort aren't. 3) It was nice to see a hard working player like Stephen Gionta get the game winner. The Devils got to the net,creating some havoc and worked hard-it does show results and I've often been puzzled why they don't do more of it. 4) Johan Franzen of the Wings was the best player on the ice. Put aside the two goals,Franzen was fast,worked hard and always seemed to be in the right spot. 5) I wonder just how big these two points were in the mind of Lou Lamoriello. The win moved them 2 points out of both the wild card and the 3rd place Metropolitan division slot. A loss would have kept them at four and maybe Lou doesn't pull a deal today. Something to ponder before this afternoon. I will be back later with any Devils deals,if the team does not make a move,the plan is for the Browns targets of my choice at free agency to be today's post. Some thoughts on the Browns entering free agency and their needs. I may do another on a few players that I would like to see the Browns try to bring to Cleveland,but first a few thoughts on the upheaval for the team over the winter. I wouldn't have fired Rob Chudzinski and I'm willing to bet Mike Pettine wouldn't have been in my top ten of candidates to replace him,but if the price of losing Chudzinski was paid in return for kicking Joe Banner and Mike Lombardi to the curb-then I'll pay that toll. I'm also fine with the release of D'qwell Jackson as I wrote after he was released. Jackson was best in the 4-3 defensive alignment and was not nearly the same player in either the Eric Mangini or the Rob Chudzinski teams 3-4. Considering that with his age (30) and high dollar payout-I'm fine with that as well. The big questions going into free agency are these two-Can the Browns re-sign Alex Mack? Can the Browns re-sign T.J. Ward? If I have to pick one-I sink the dollars into Mack. Mack is a higher level performer,harder to replace and we just don't know how Ward will transition into what Mike Pettine wants to do on defense. Recall some of Ward's struggles under Pat Shurmur? 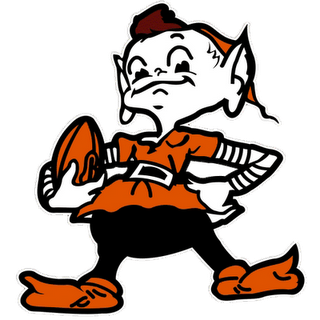 If you could promise me that the Browns could retain Alex Mack and land Pettine's former Buffalo ballhawker Jarius Byrd-I think I can deal with losing T.J. Ward. More on Byrd in the planned post on free agent targets,but I'd love to bring Byrd to Cleveland! What I think the Browns should be looking for in the free agency period is as follows in no particular order other than offense and defense being lumped together. The Browns should be looking for a big body on the right side of the line preferably a guard. Mitchell Schwartz disappointed at tackle after a solid rookie season,so I"m willing to give him another year to straighten out. The same cannot be said for Shaun Lauvao at guard,who has never panned out after being a third rounder and needs to replaced. I wouldn't be against signing a running back either,if they had low mileage,fairly young or fit the Kyle Shanahan system. For all the shots at the Shanahan family offense,no one can deny they create running back stars. I'd like to see someone brought into play to be the slot receiver that Davone Bess was supposed to be. Someone sure handed,tough and to give a inexperienced quarterback someone to rely on. Two fit the bill,but will likely want more money that I'd pay. On the defense,the glaring need is at inside linebacker. D'Qwell Jackson was never as good in the 3-4 as noted earlier,but he still leaves a hole and Craig Robertson was atrocious in pass coverage. 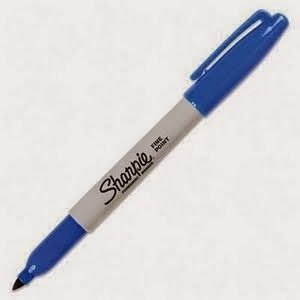 The Browns at least need one starter from free agency and maybe even two. If they can get two,inside backer becomes a lesser need in the draft. Since the team decided to let T.J. Ward test the market and assuming he leaves,safety becomes a gaping hole and someone needs to fill it. The guy I have in mind would more than do so! Buster Skrine improved by bunches last season and played well,but I still think he is better suited as a top notch 3rd corner than an average 2nd corner. I'd be looking at corner hard especially with the team working on long term contract with Joe Haden.. The defensive line is solid and since the team is invested in Barkevious Mingo and Paul Kruger for large amounts of dollars,I think outside linebacker is safe for another season. The New Jersey Devils played pretty well for most of the first two periods and then continued to make bad decisions with the puck. The San Jose Sharks made them pay as puck possessions decisions set up each of the four Sharks goal and San Jose slipped away with a 4-2 win over the Devils at the Rock. 2-1 lead that would slip away in defeat. The Devils will host Detroit on Tuesday before traveling to Detroit on Friday. 1) Four botched puck led to four goals for the Aqua and Whatevers which usually means defeat. On goal one,Cory Schneider goes out behind the net to play the puck. The problem was he didn't immediately play it as he waited a bit before attempting to move the puck,which put the Devils out of sync on the clear and shortly led to the Logan Couture goal. 2) The normally dependable Andy Greene tosses the puck away as the Devils enter the Sharks zone.Two passes later and San Jose has tied the game at two. 3) Anton Volchenkov tries to get too cute with a pass,gets it stolen for a Sharks breakaway that ends with Jon Merrill not taking the pass away,falling to the ice and basically handing San Jose another goal to slide past a helpless Cory Schneider. 4) And finally,Eric Gelinas attempts to clear,Patrick Marleau intercepts,cruises in and beats Schneider for the game winner. All four of these were less than intelligent decisions and all cost the Devils goals and the two points..
5) The lost points were huge as all the teams that played yesterday that the Devils are chasing earned points. Could these points help Lou Lamoriello's decision making before Wednesday? Talk to me after Tuesday,where a loss just might make things cleat to Lou. 6) Sorry to seem so negative and I did like the Henrique and Elias redirections for goals because it shows that the Devils are at least being active around the net. However,those dumb defensive/puck decisions for a team that has to be built on defense is going to get you every time. Devils sizzle on Long Island!